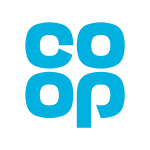 Every time a Co-op member chooses Co-op branded products and services and uses their Co-op Membership card (subject to Membership T&Cs) 1% of everything they spend will go to their chosen cause. So if you’re a Co-op Member log in to your Co-op Membership account and please choose us! If you’re not a member, please join and support us! If members don’t pick a cause during the giving period then their 1% is shared out equally between all the local causes in their community.